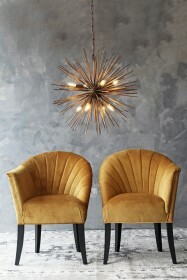 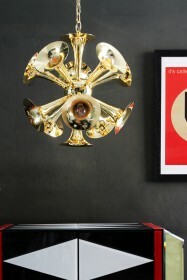 The starburst is made up of multiple brass poles exploding from the centre with eight bulbs nestled within. 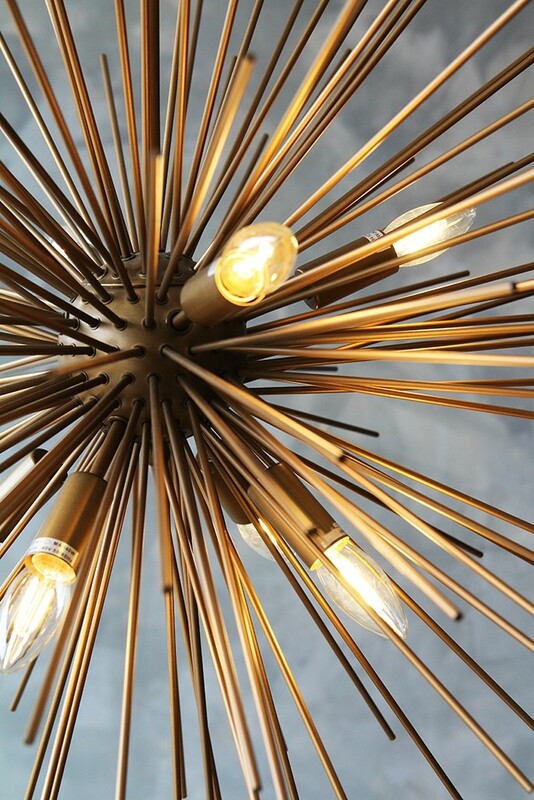 The light from the bulbs reflects and bounces through the poles creating a stunning lighting effect. 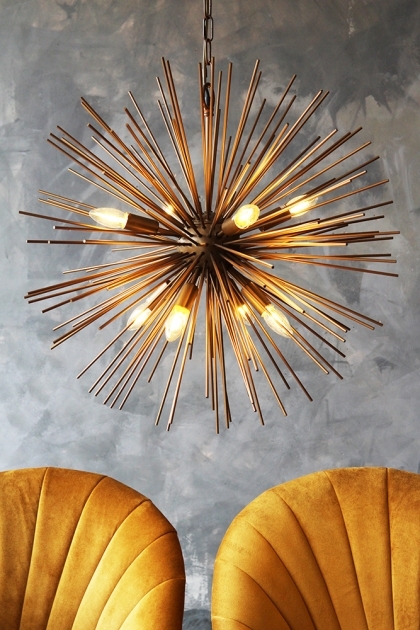 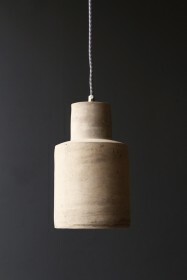 This impressive pendant will look amazing in the centre of your living room or dining room and will no doubt make you the envy of all your guests.